Tooth decay is a general problem among the folk who live along the Amazon. Infrequent access to proper medical and dental care and poor diets contribute to poor health. The team dentist had to quickly train some of the high school team members to assist with the many extractions that needed to be performed during the week. Having no prior experience, one student alone was responsible for a dozen extractions during her time working with the doctor. 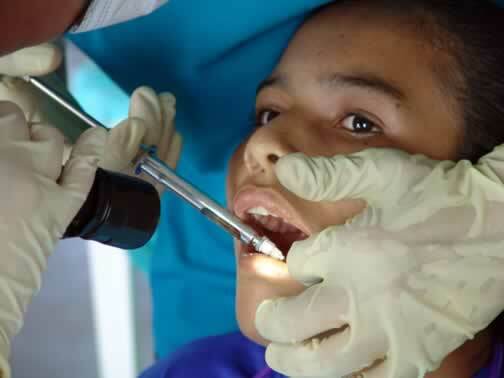 Here a team member is holding a flashlight while the dentist administers a Novocain injection.